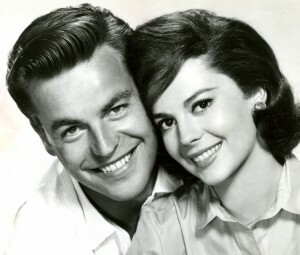 Robert Wagner and Natalie Wood. On the Today show this morning I saw that detectives are reopening the case of Natalie Wood's death in 1981. The story is here. Now, thirty years later, the boat captain admits he had lied in the past about what happened that night and believes that Robert Wagner is responsible for Natalie Wood's death. I'm sure we will be hearing more on this story in the upcoming weeks. I've been following this. It's a very, very sketchy situation!